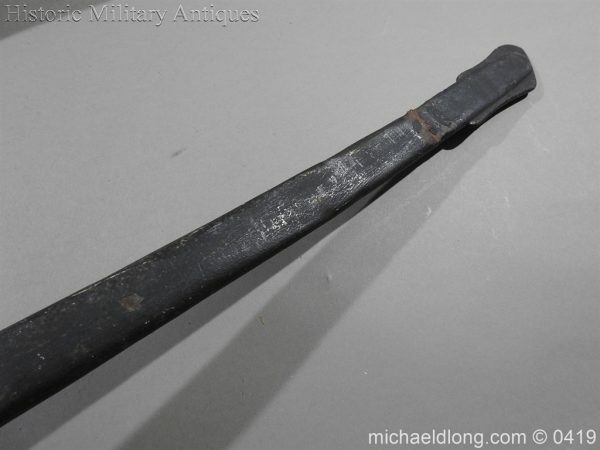 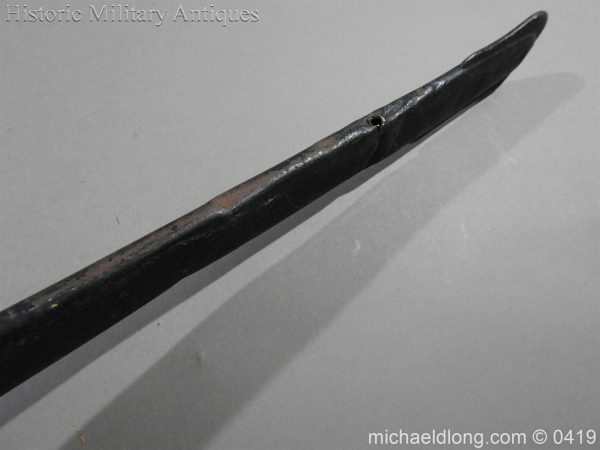 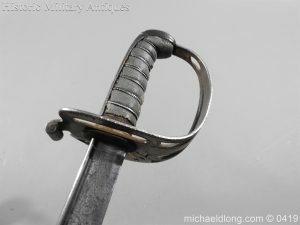 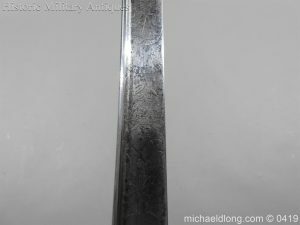 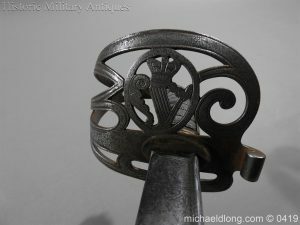 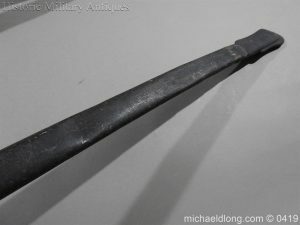 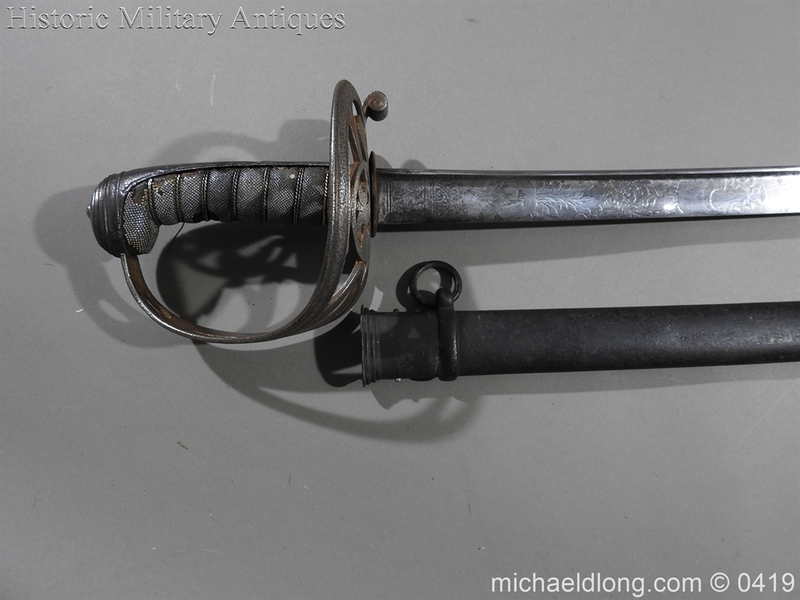 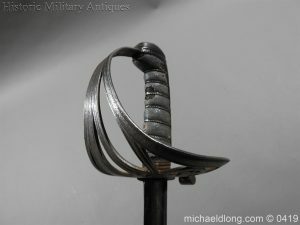 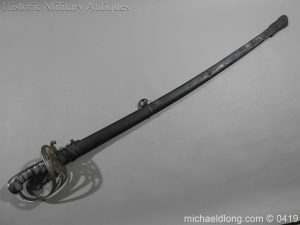 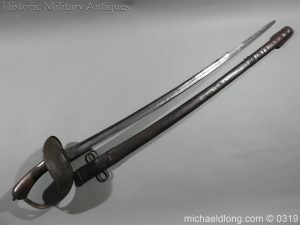 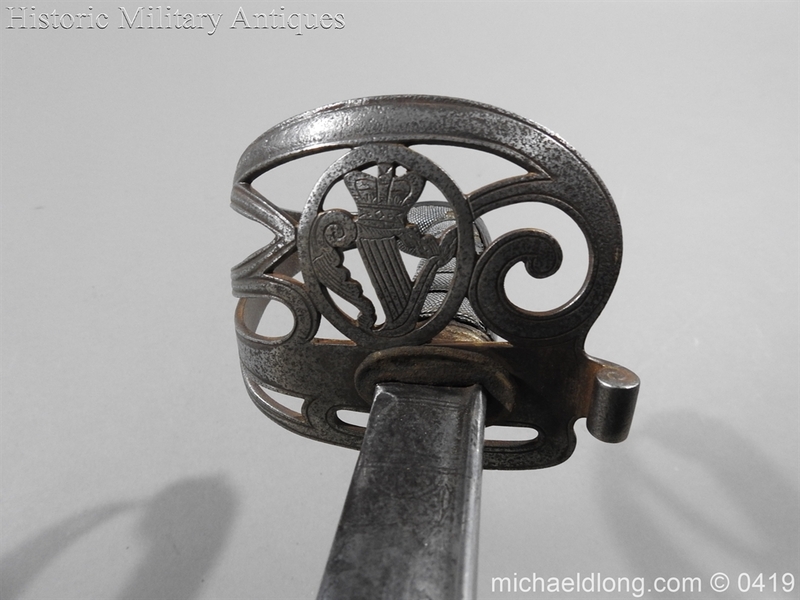 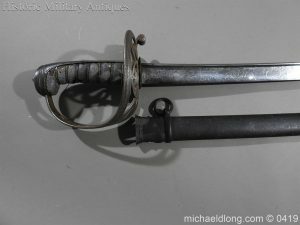 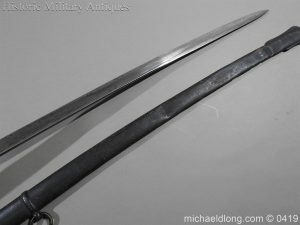 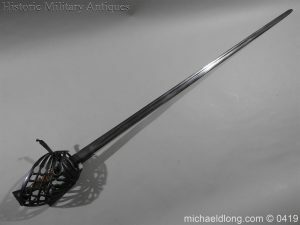 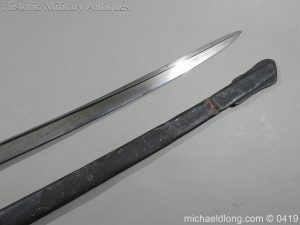 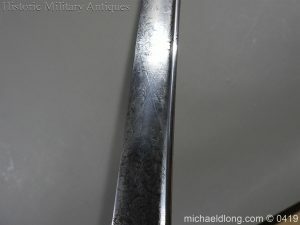 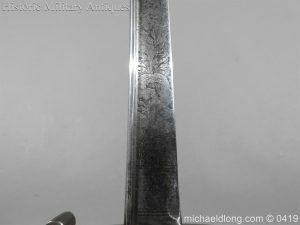 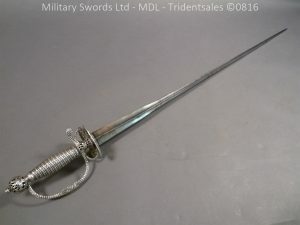 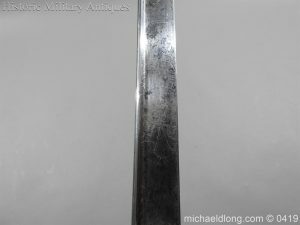 Early Victorian example of this rare sword, regulation hilt with the exception that the slung bugles replace with Irish harp. The fish skin grip is worn in small area’s and bound with silver twisted wire. 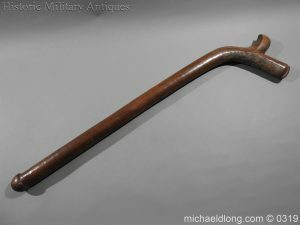 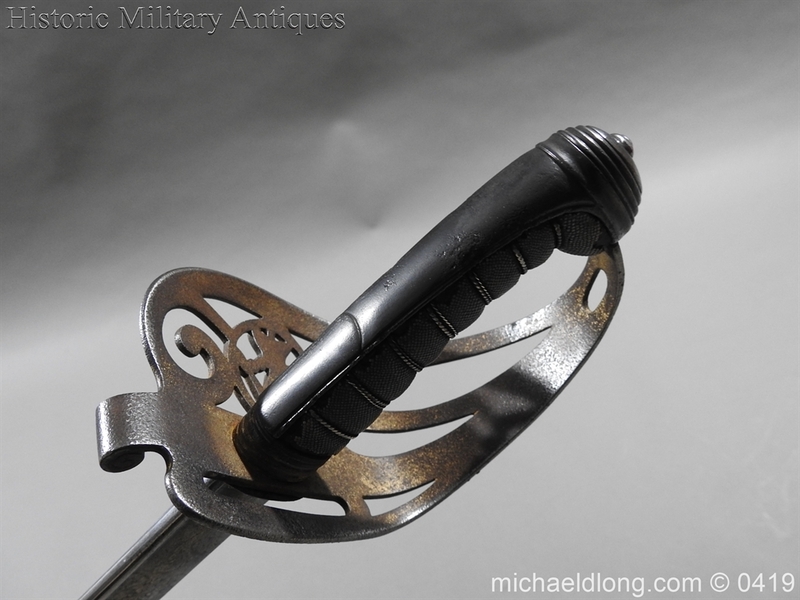 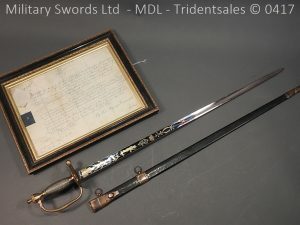 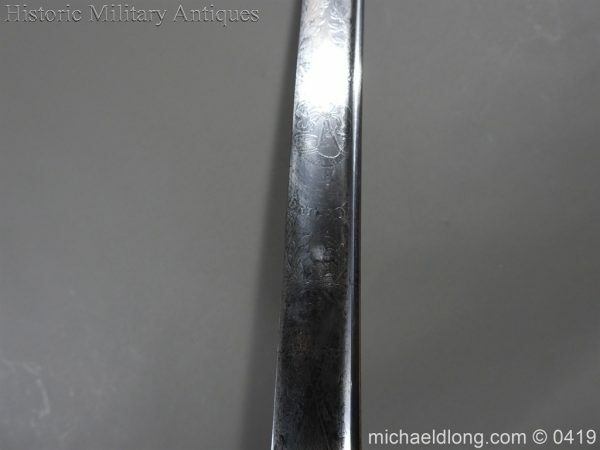 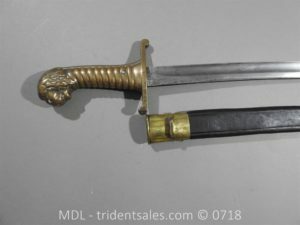 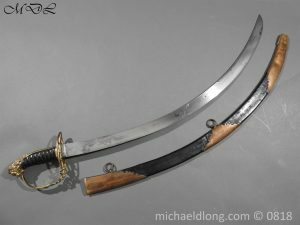 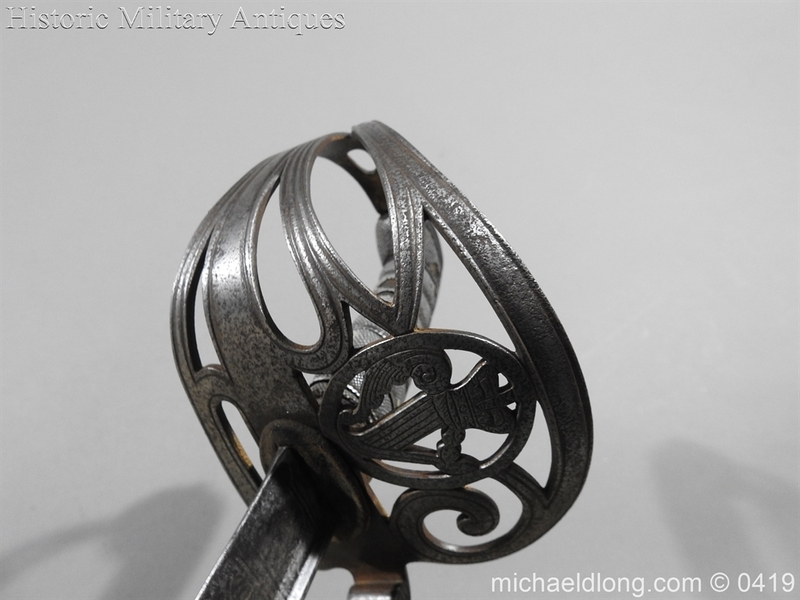 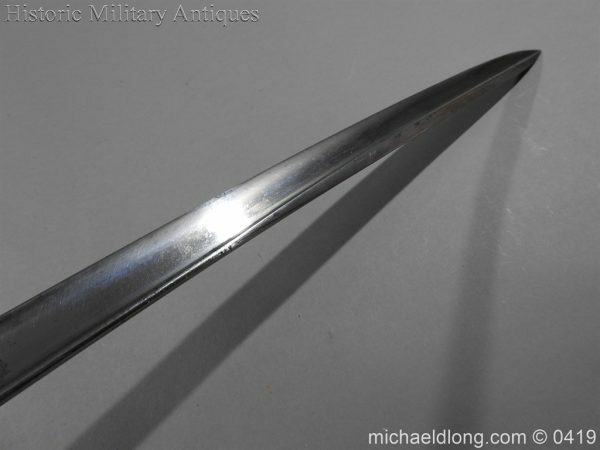 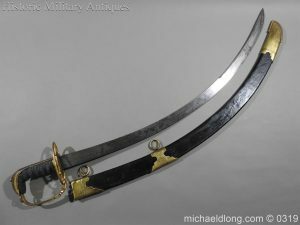 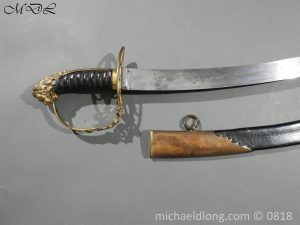 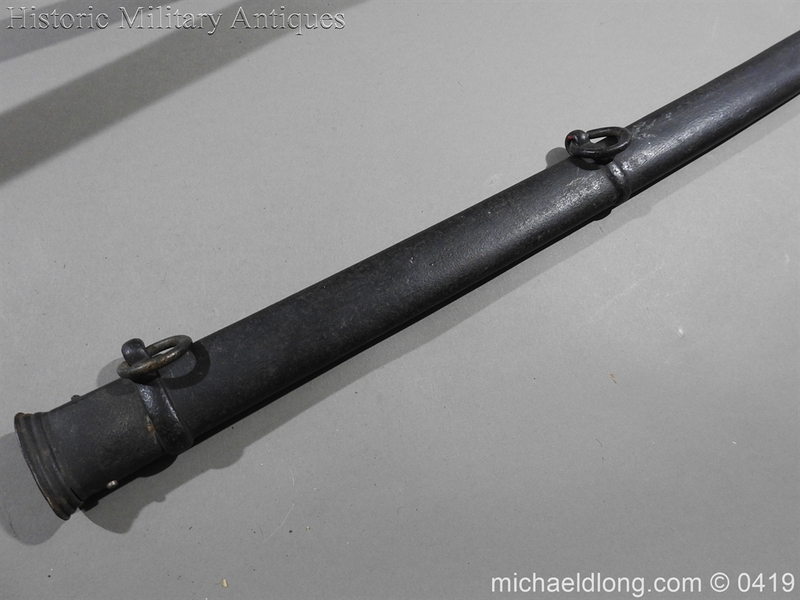 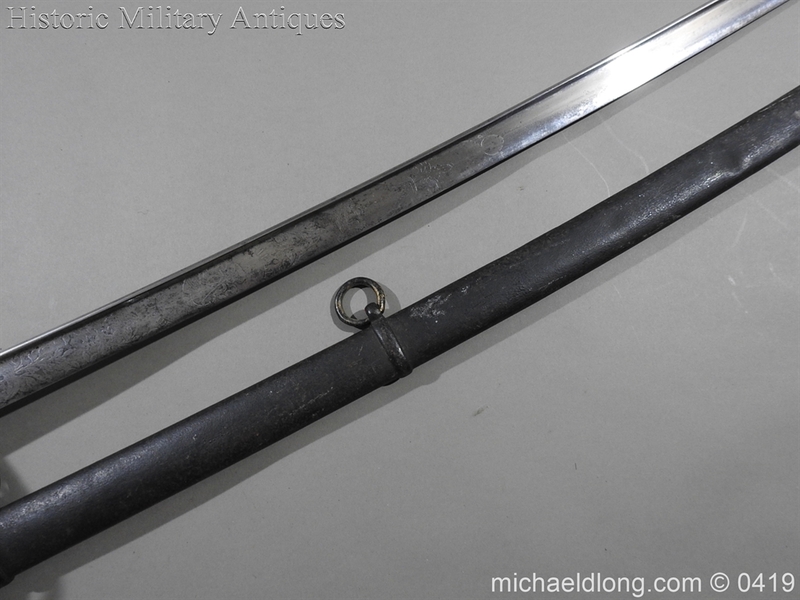 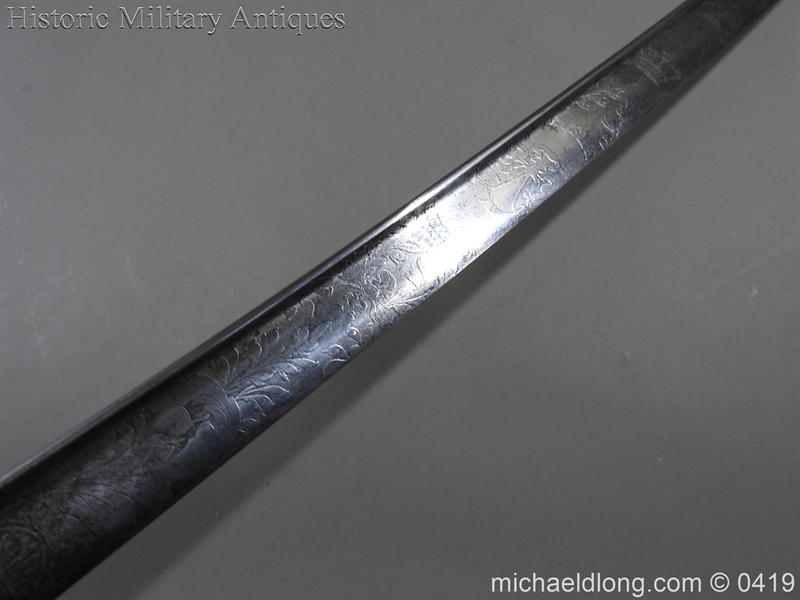 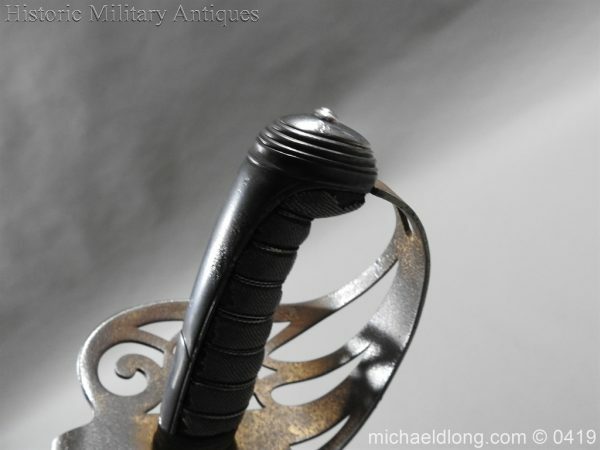 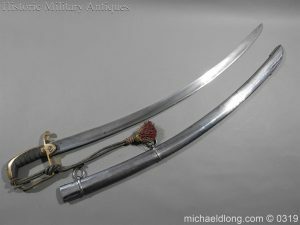 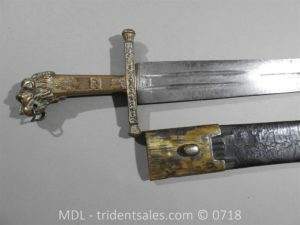 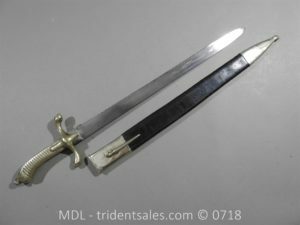 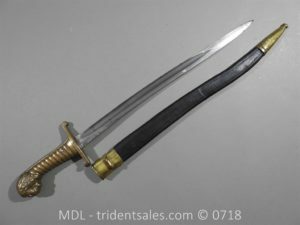 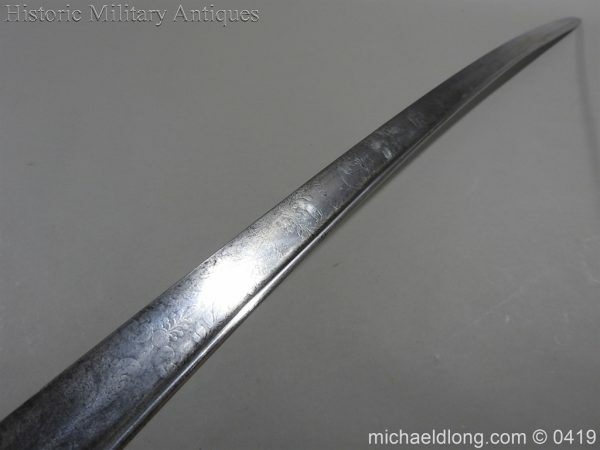 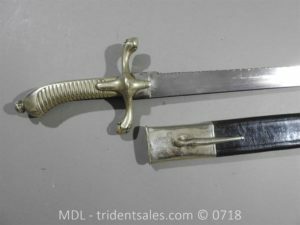 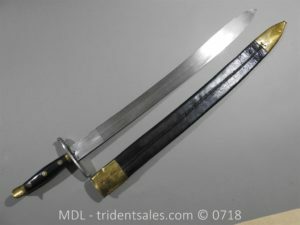 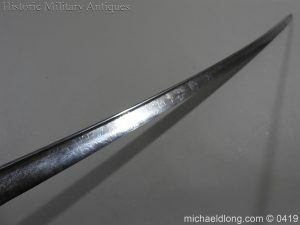 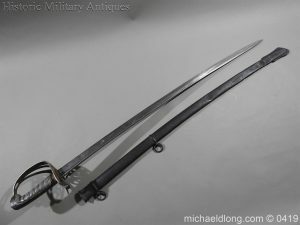 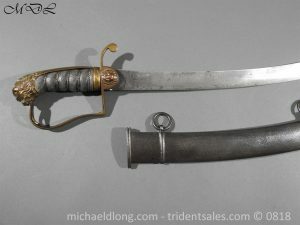 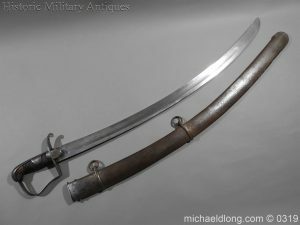 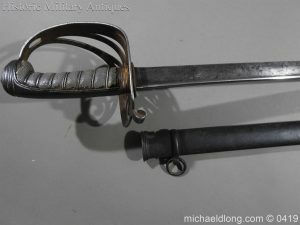 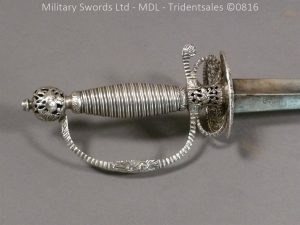 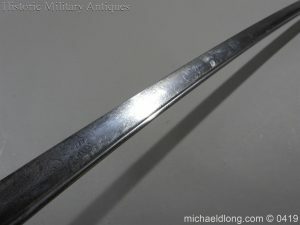 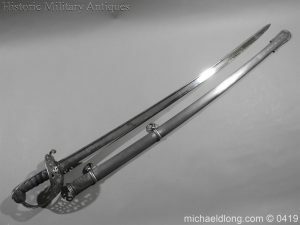 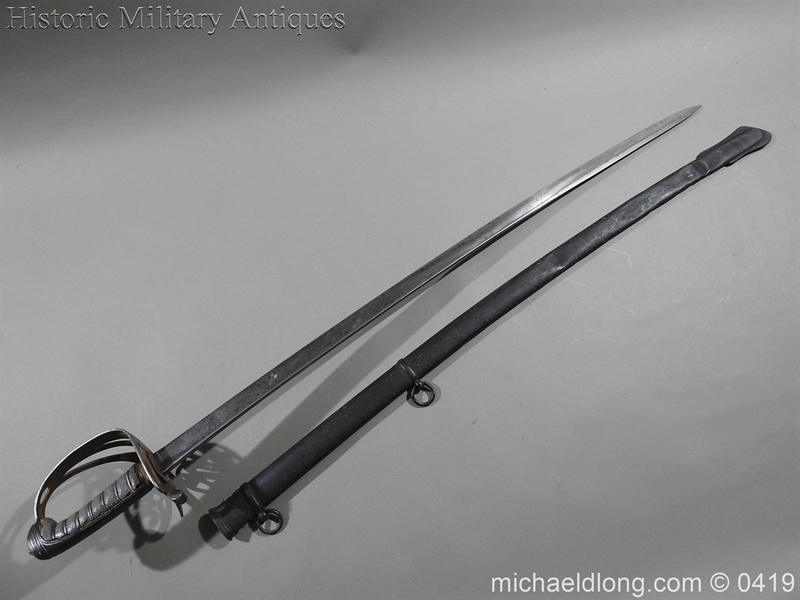 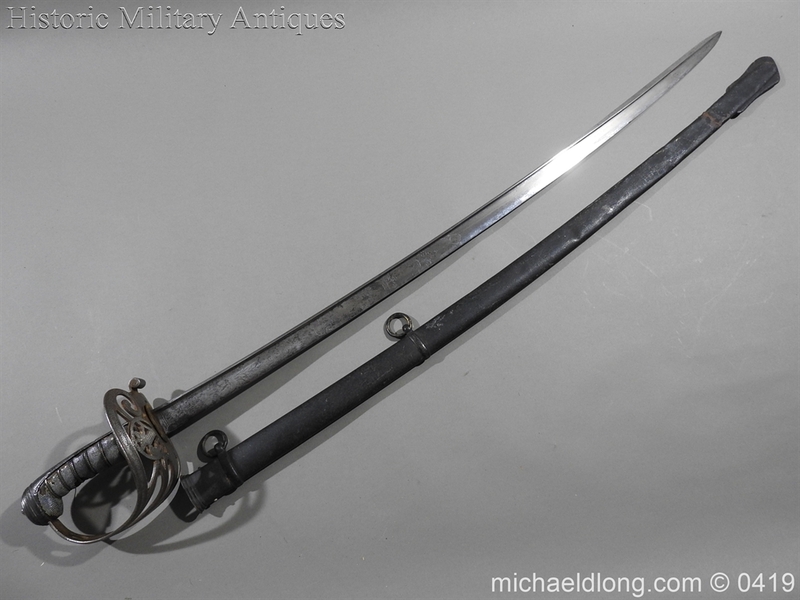 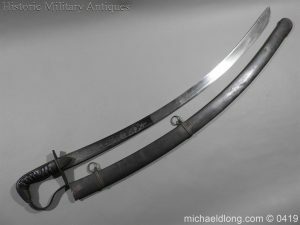 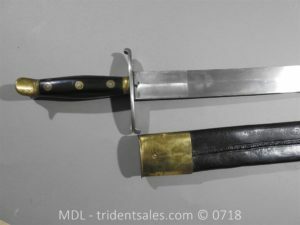 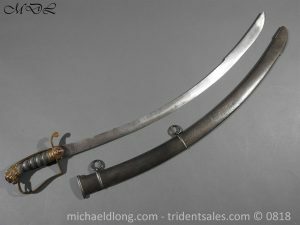 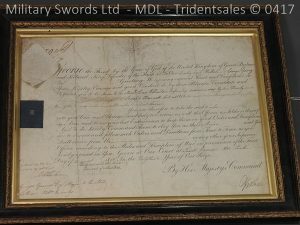 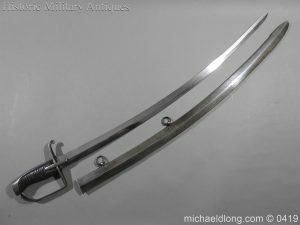 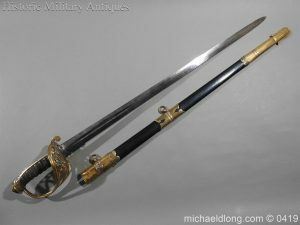 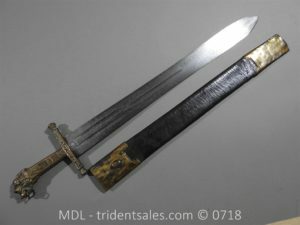 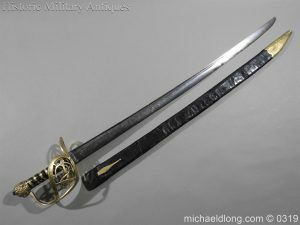 The slightly curved blade is pipe backed and engraved with Victorian crown, slung bugle and Rifle Bridge plus trophies of arms all to a back ground of floral decoration.